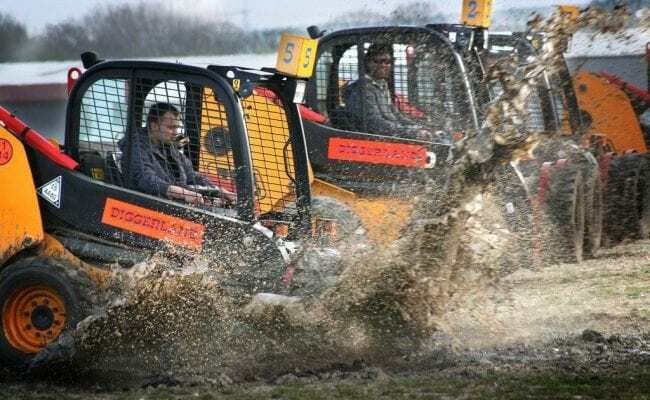 Take the family to Diggerland this February half term (16th February – 24th February 2019) and enjoy a fun-fueled day out like no other. Kids and grown-ups alike can ride, drive and operate real JCB & Komatsu construction machinery, all whilst in a safe and family friendly environment. Love bowling? Then you’ll love knocking down skittles with a mini wrecking ball on the end of a digger arm! There really is something for everyone at Diggerland, and this half term the kids can even enjoy our new Little Tikes Wheelz Play Zone! Our Diggerland Devon location has a gift shop, soft play area, indoor cafe and plenty of other facilities to enjoy, as well as what’s important here… DIGGERS!